As you know the best girls friends are diamonds. And the best friends of all gambling fans are pearls. And rubies. And emeralds. Precious stones are always beautiful. And if they are getting together and bring great wins, it's just perfect! The most precious slot is Jewels (Stones) - the online slot from Belatra. 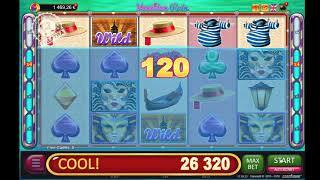 It's incredibly easy to play for free and without registration in our online casino. Like all online slots BELATRA GAMES this game supports 11 languages ​​of the world, including English, Spanish, German, Russian and many others, and also has high quality HD graphics, original soundtrack and a whole set of interesting additional games. 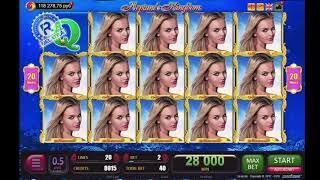 Online slot machine is very easy to play, because the gameplay is understandable from the first seconds. 10 lines, 5 reels and getting a win with the drop of the right combination - a classic, and then pleasant and unexpected bonuses start. The first of them already during the main game - winning combinations are paid not only from left to right, but also from right to left! The super-symbol in this collection of brilliant pebbles is the noble "Pearl". This symbol can appear only on the three middle drums. When "Pearl" falling out, it takes the whole reels and starts free turn the rest reels. And if a fortune smile you and the pearls fall on all three reels at the same time, you will see a huge "Pearl" on the whole screen and your winnings will be brilliant! 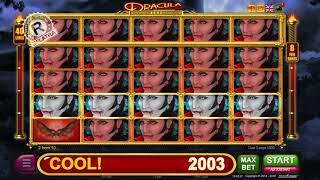 "Red-Black-Suit" is an excellent time not only to double the winnings, but also to increase it in four times at once! Guess the color of the card and duplicate the win, guess the suit - and multiply it by 4! 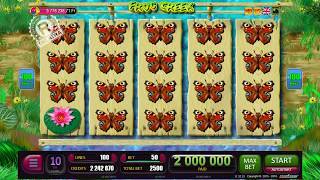 Online slot machine BELATRA: Just Jewels - Nothing More!